Over the past week I read two books about World War II, but that’s as much as they have in common. In fact, they are about such different parts of the war, and they treat their subject so differently, that it makes almost no sense to consider them together, except that I read them one after the other! 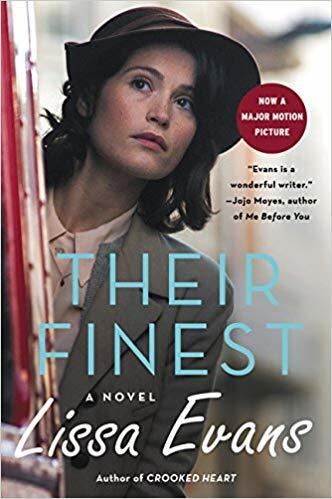 The first was Lissa Evans’s Their Finest (which I learned from Dorian’s post was originally called Their Finest Hour and a Half, which makes much more sense!). I liked this novel a lot: it is brisk, wry, witty, and self-aware, especially about the will to create a heroic myth out of circumstances that in reality are an uneven mixture of banality, accident, and tragedy. The Blitz is pretty familiar fictional (and historical) territory–I think the best fictional treatment of it I’ve read is in Kate Atkinson’s Life After Life, which is so good in those parts that I wished she had given up on the novel’s big gimmick and just written the convincing and heartrending book about the Blitz that she is clearly capable of. On the other hand, a convincing and straightforward story (you know, the kind that gets called “old-fashioned”) is harder to pull off than it sounds, and one thing Life After Life and Their Finest have in common is breaking up that potential narrative into parts that diffuse the risk. If the ingenuity comes at a cost, it’s one that Evans at least is clearly paying deliberately as she resists the pull of the romanticizing and potentially dangerous nostalgia with which the Blitz is now so often treated. Dorian describes Their Finest as “perfect light reading” and then goes on to explain with his usual astute clarity how it is also about the way “hard work underlies effortlessness.” His post is really good and thorough, so if you want more detail about Evans’s novel I recommend you pop over and read it. I think in the end he admires Their Finest more than I did, but I certainly enjoyed it a lot, and I appreciate that Dorian passed his copy on to me when we had the pleasure of meeting in person in Halifax last week! I will definitely look for Evans’s other books. They began shooting the patients. Despite all the gunfire we’d heard over the past several months, Leuk and I started at the first shot. On the top floor a window opened, and the shouting became much clearer as all the windows banged violently open. It was like the rising of a curtain at the theatre. An old man with a bandaged head appeared suddenly in a window in a tall-backed wheelchair. One of his hands was raised and waving strangely. He lunged forward as the soldier behind him tipped his chair. The old man plummeted to the gravel below. . . . The soldiers disgorged the sick and mutilated into the air, as though unloading bags off a truck. Kaan’s flat but relentless prose effectively matches the grim endurance necessary to persist and survive in the face of so much brutality. The war story in The Water Beetles is interspersed with details about Chung-Man’s more recent life: the novel is as much about the lingering effects of his childhood trauma as it is about the war itself. Identity and continuity are recurrent themes: how is it possible to be the same person we once were when so much separates now and then, and what connects us to that former self? For Chung-Man, it’s memories, and family, and also relics such as the tarnished gold belt buckle that during the war is both a secret resource to be hoarded and a fraught link between his past and the future he hardly dares imagine. After the war, the buckle becomes symbolically suggestive: beneath its blackened surface the gold has endured, just as Chung-Man has survived and made something new of his life. Though the old pain and loss remain a part of him, they have not defined him, and this allows a note of hope to soften the novel’s impact. 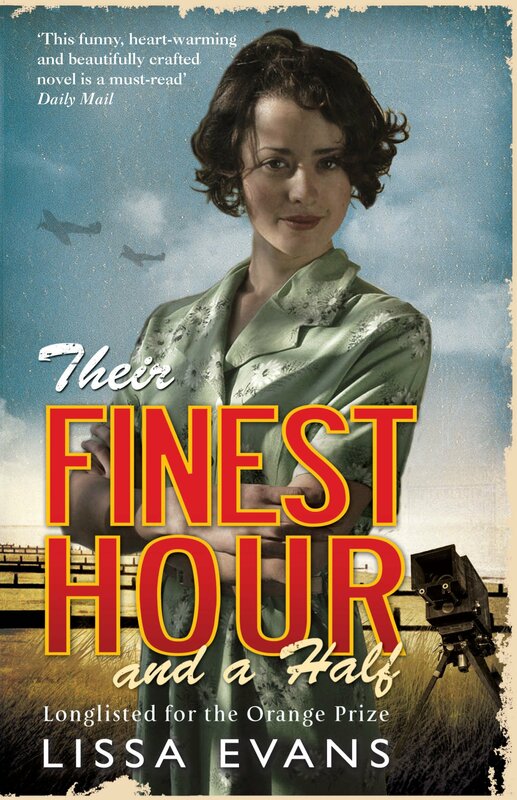 As I said in the comments to Dorian’s post, I quite enjoyed the film version of Their Finest, but haven’t read the novel it’s based on. I think you’d enjoy Crooked Heart, also set in WWII, and also about the home front. I see that the film version is available on Netflix Canada, so I will almost certainly give it a try soon. I found Old Baggage at my local bookstore today so that’s up next! I hope you let us know what you think of it. My favourite Evans. Your comment about there being so many different facets of World War II really struck home. My father was a Far East POW and as a child that always seemed to be something quite recent and personal, whereas the war in Europe was history and really nothing to do with me at all. I have just started Cressida Connolly’s recent novel, After the Party, which is about the run up to the war and the influence of Oswald Mosley – another aspect of those times altogether. 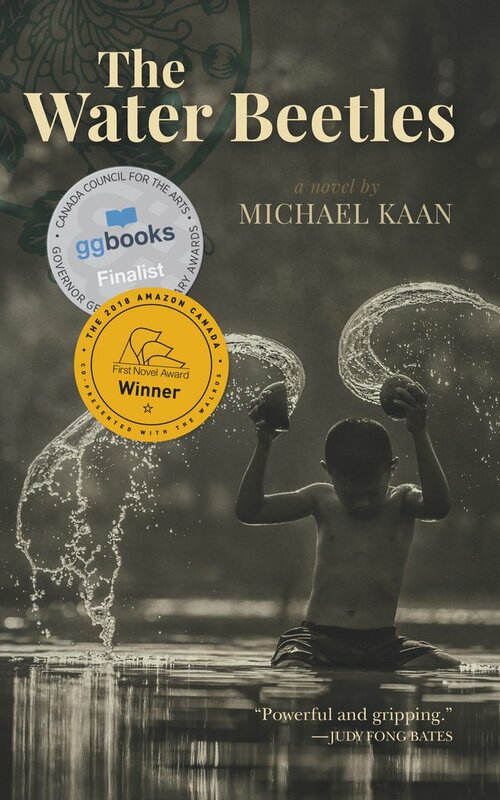 Kaan’s book is based in part on his own father’s memoir and recollections of his experience of that part of the war. I know what you mean about the war in Europe somehow seeming more distantly historical. It makes no sense factually, of course, but I wonder if it comes from the endless versions of the European war in historical fiction and in movies and TV, which wrap that part of the conflict up as a particular kind of entertainment. After the Party sounds interesting. It’s certainly very ‘readable’ Rohan. I’m also finding it a really interesting exploration of how an individual can gradually find themselves drawn far further into the belief profile of a charismatic leader than they genuinely subscribe to. The moment at which I found myself thinking ‘well that’s not actually a bad point’ was the moment I realised I had better put the book down for a bit! That’s the second reference to After the Party I’ve heard in two days. I’m curious! No US pub, though, I think. Are you enjoying it? Water Beetles sounds like it might pair interestingly with Ballard’s Empire of the Sun. I sure do! Very dangerous, that site. BTW, thank you so much for linking to my piece. I appreciate it! Very much. I read half of it at a sitting yesterday afternoon, which says something about the quality of the writing. I only put it down when I found myself thinking that perhaps Mosley’s followers had a point. That’s when I realised I needed a break from the effect the writing was having on me!